That sounds easy: take two collection of identifiers, put them in sets, determine the intersection, done. Sadly, each collection uses identifiers from different databases. Worse, within one set identifiers from multiple databases. Mind you, I'm not going full monty, though some chemistry will be involved at some point. Instead, this post is really based on identifiers. Data set 2: all metabolites from WikiPathways. This set has many different data sources, and seven provide more than 100 unique identifiers. The full list of metabolite identifiers is here. Determine the interaction of two collections of identifiers from arbitrary databases, ultimately using scientific lenses. I will develop at least two solutions: one based on Bioclipse (this post) and one based on R (later). First of all, we need something that links IDs in the first place. Not surprisingly, I will be using BridgeDb (doi:10.1186/1471-2105-11-5) for that, but for small molecules alternatives exist, like the Open PHACTS IMS based on BridgeDb, the Chemical Translation Service (doi:10.1093/bioinformatics/btq476) or UniChem (doi:10.1186/s13321-014-0043-5, doi:10.1186/1758-2946-5-3). You can see that I am using the BridgeDb functionality already, to create Xref objects. The code skips the first line (or any line with "column headers"). The BridgeDb Xref object's equals() method ensures I only have unique cross references in the resulting set. The only metabolite it did not find in any pathway is the KEGG identified metabolite, homocystine. 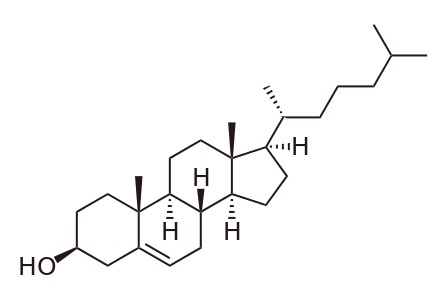 I just added this compound to Wikidata. That means that in the next metabolite mapping database, it will recognize this compound too. I will soon write up the R version in a follow up post (but got to finish grading student reports first).